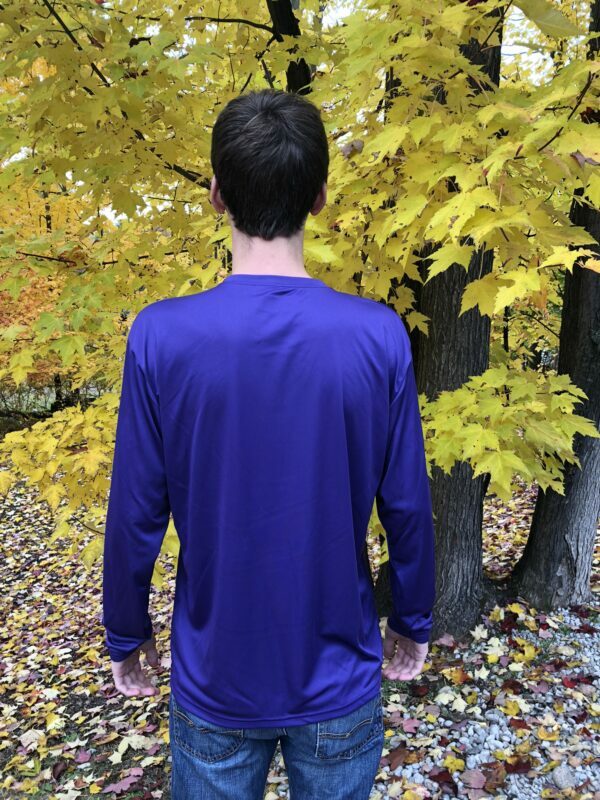 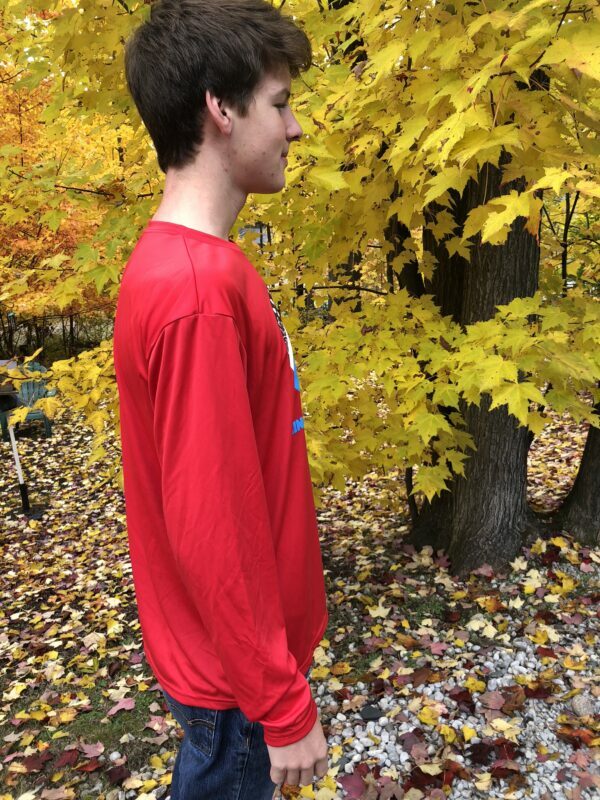 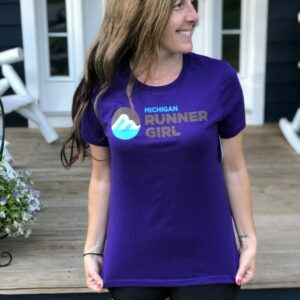 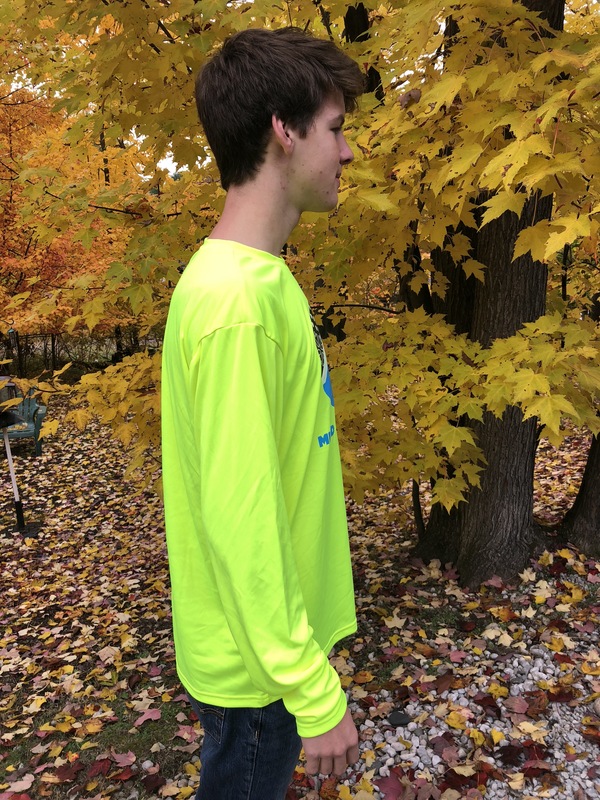 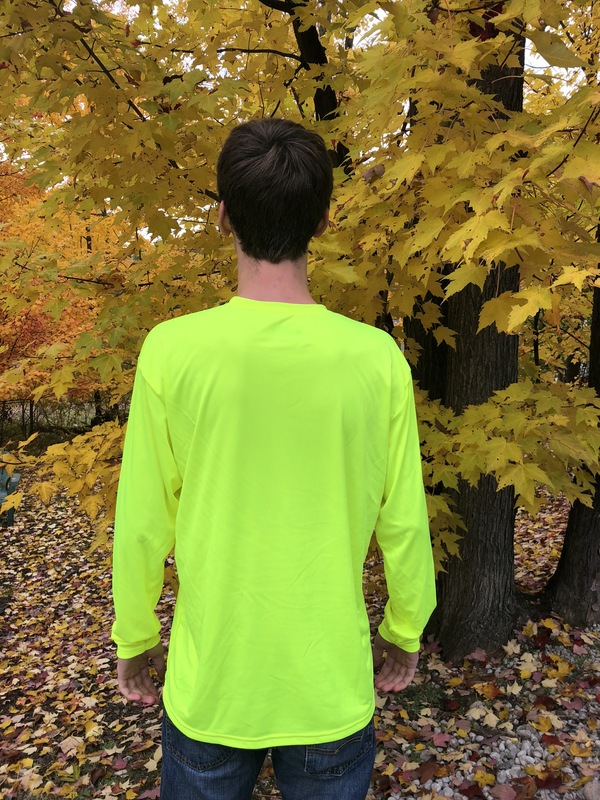 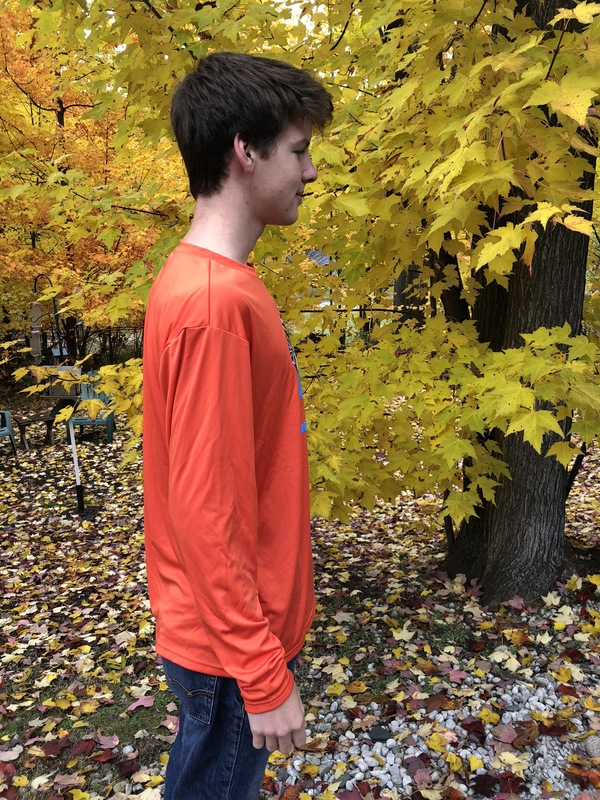 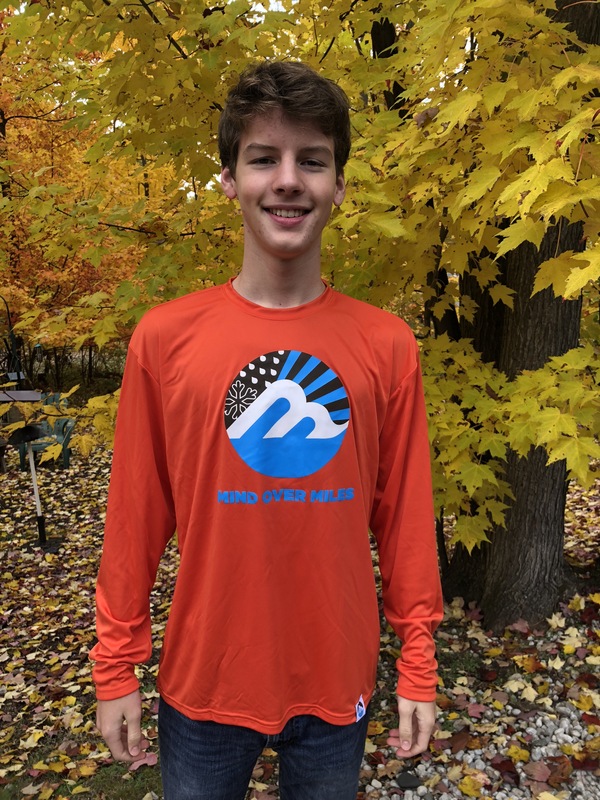 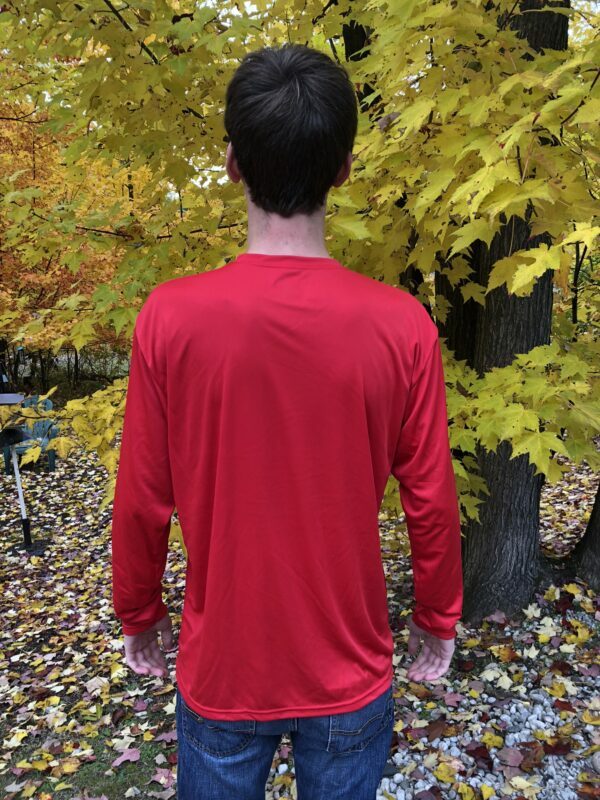 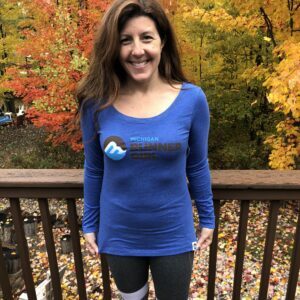 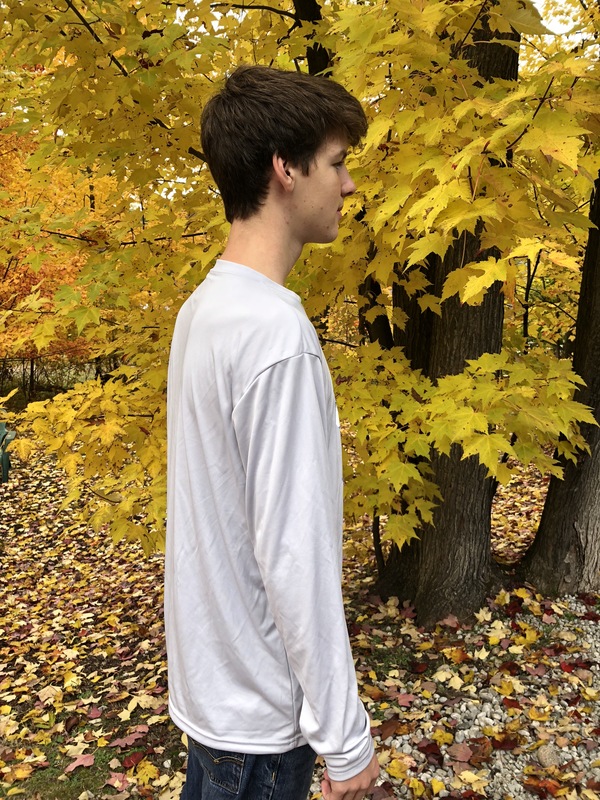 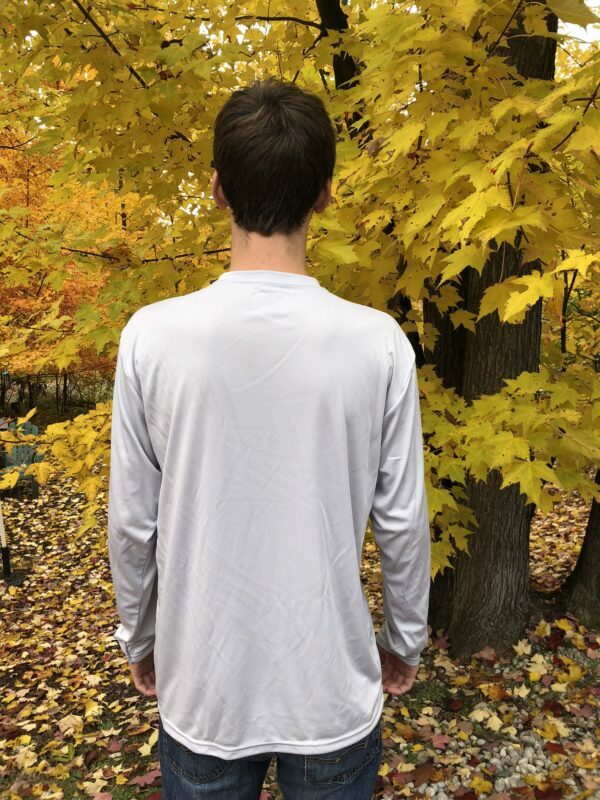 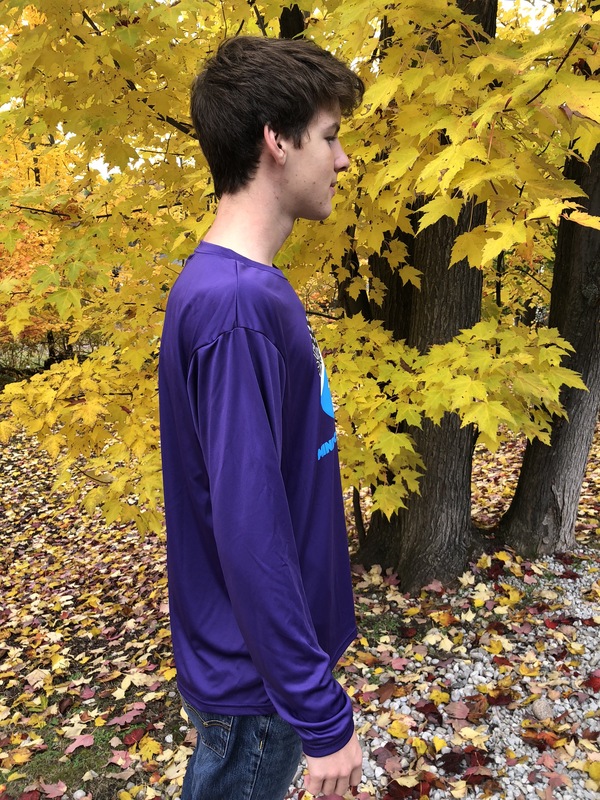 For those cooler fall and spring days—and for layering on those super cold wintry days—you’re going to reach for this classic wicking tech long sleeve. 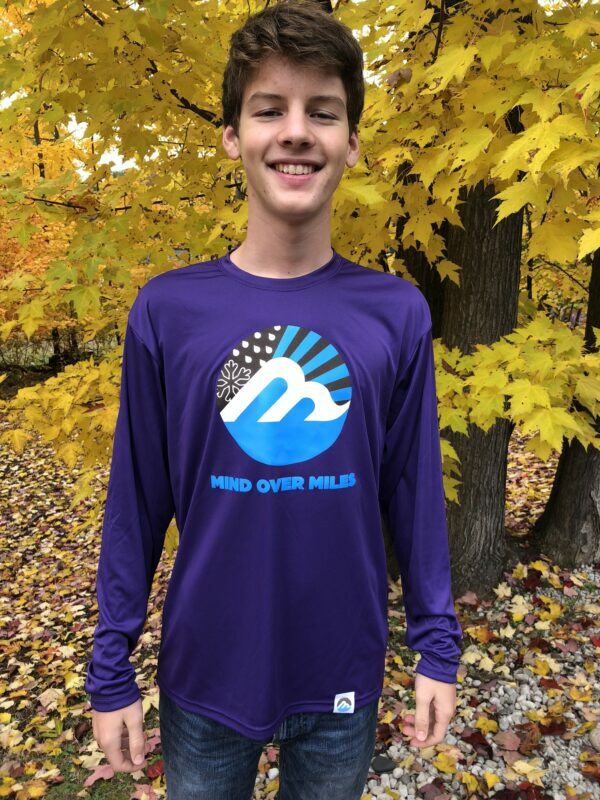 The all-new Mind Over Miles logo is pretty popular with the guys, too. 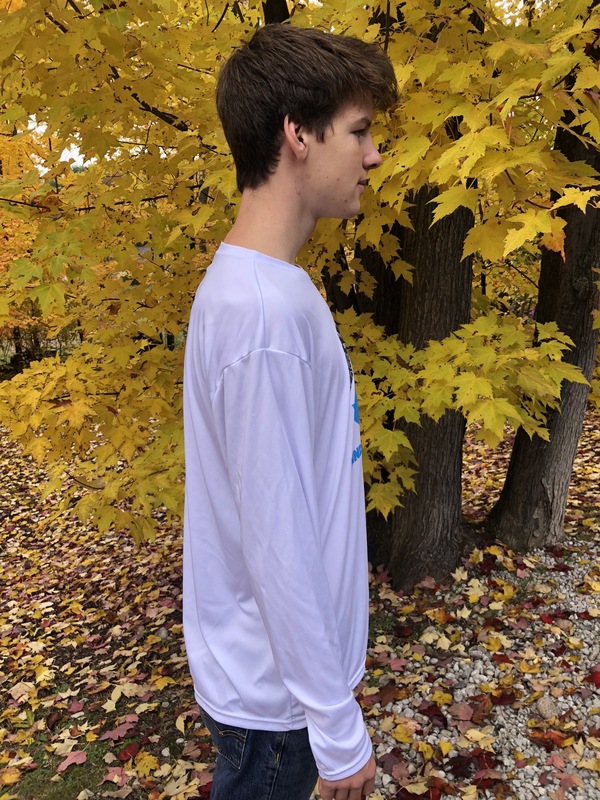 Just saying’. 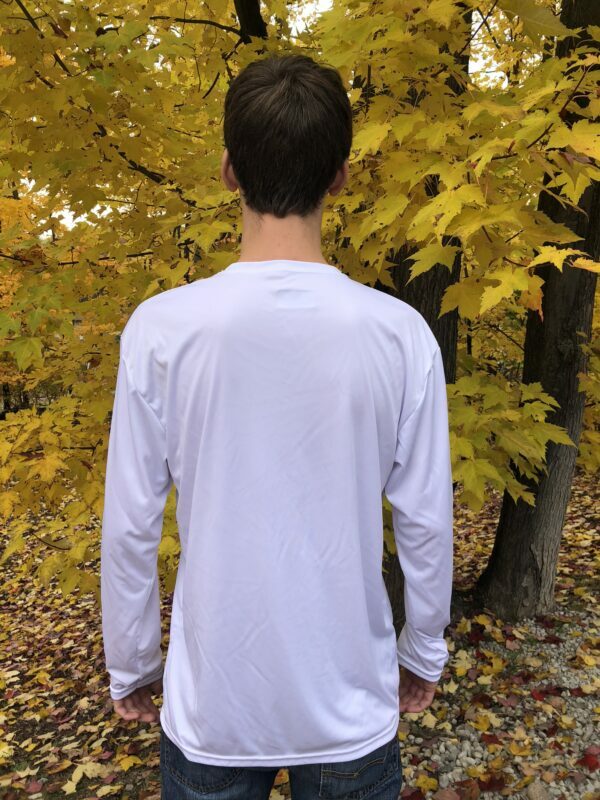 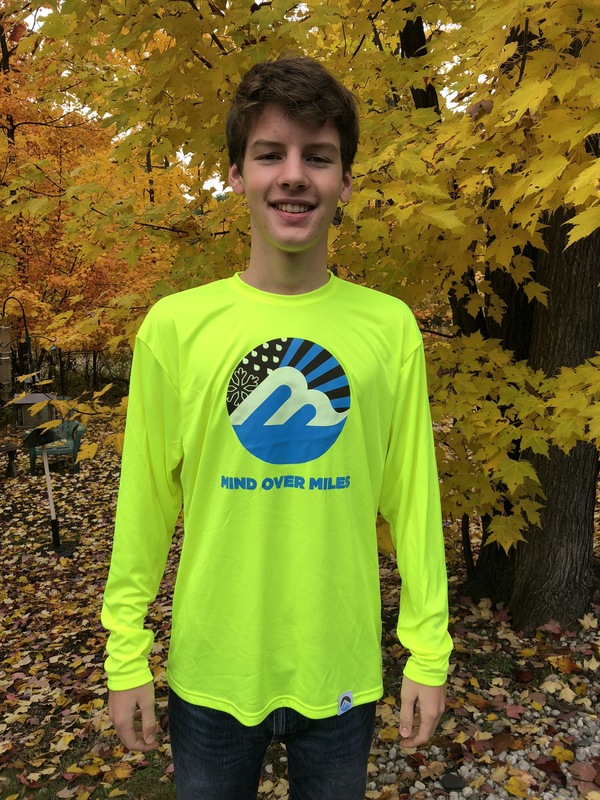 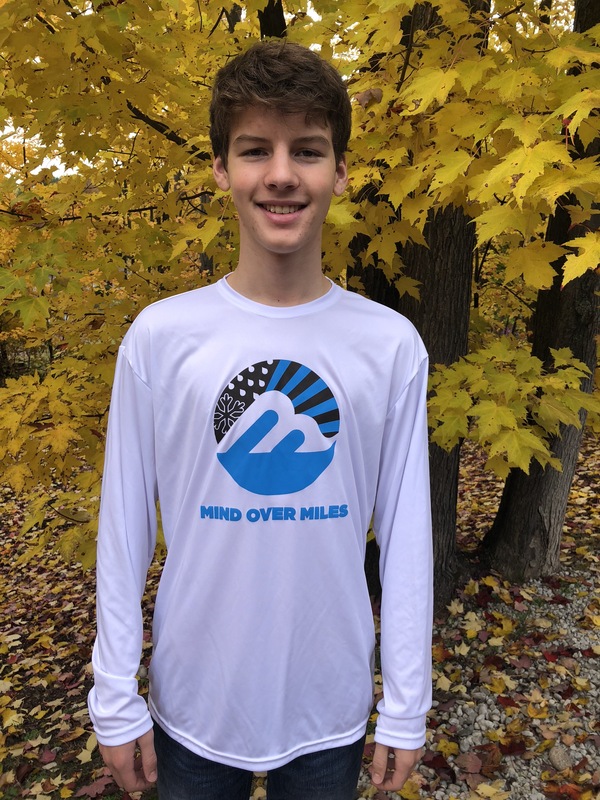 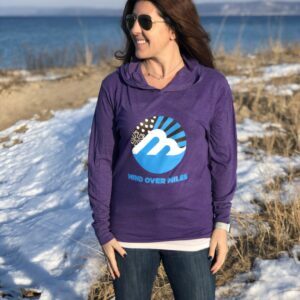 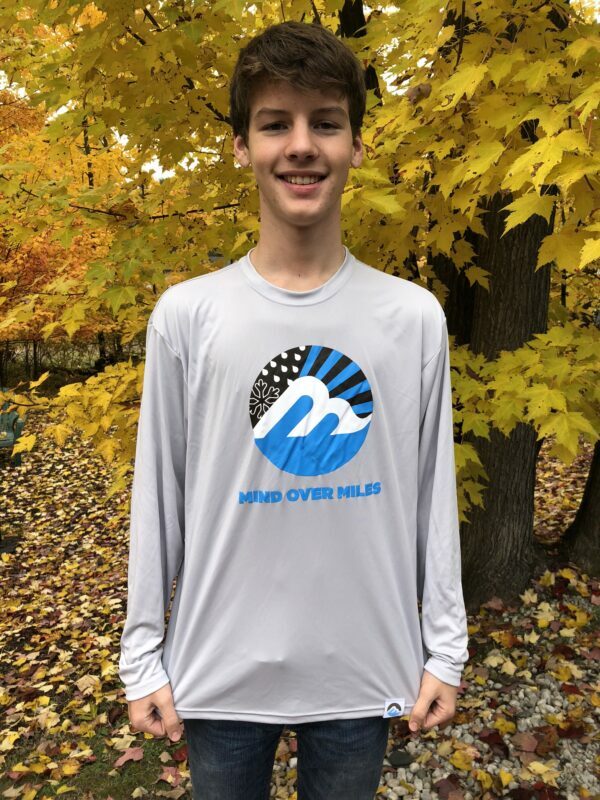 The Mind Over Miles logo stands out against this clean, white long sleeve. 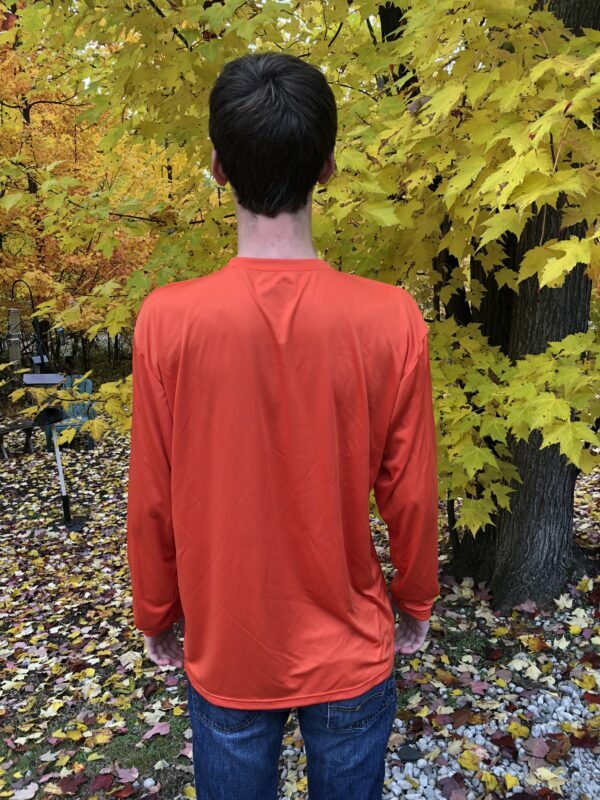 This tee is unisex and runs slightly big; if you’d like a less roomier fit, please go down a size.